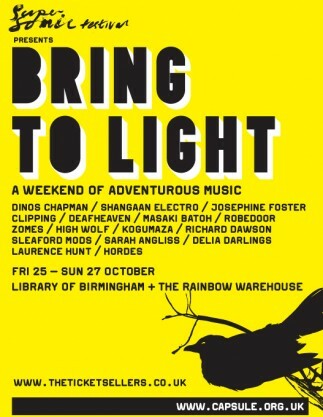 As part of the Bring To Light weekend. we’ll be paying homage to one of the pioneers of electronic music, Delia Derbyshire. The Delia Darlings exist to pay sonic homage to Derbyshire via her archive held at University of Manchester. Currently, Delia Darlings are experimental electronic Caro C and contemporary classical Ailís Ní Ríain. After Delia Derbyshire Day in Manchester in Jan 2013, the darlings have an info-show that spreads the magic of the fascinating archive. The aim of this project is to increase the profile and honour the legacy of the late great Delia Derbyshire, as well as championing female experimental composers past and present. Caro C – live performance of ‘Audient, My Dear’ and Ailís Ní Ríain – live performance of “The Consquences of Falling” for trumpet and double bass . Both performances will be creative response to interacting with the archive of Delia Derbyshire. Both performances will be preceded by an intro sharing insights into Delia’s archive and working methods and playing extracts from the archive which have rarely been heard in public. There’ll also be a Q&A with the artists. 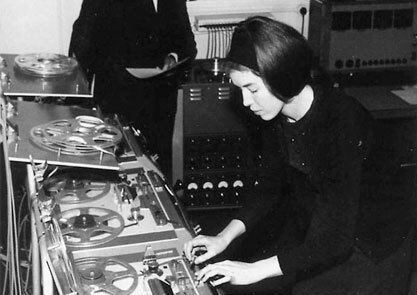 There’s a lovely interview with Delia Derbyshire on soundcloud, where she discusses working at the BBC Radiophonic Workshop, and her famous work on the Doctor Who theme.